The sleek bamboo handle on this toothbrush feels more important than plastic—and it is. Each one is eco-friendly, beautiful, and supports the Humble Smile Foundation, which brings oral care to needy communities around the world. Dimensions: 7.5" x 0.5" x 0.7"
Sweet little toothbrush, I like it very much! Love them!! 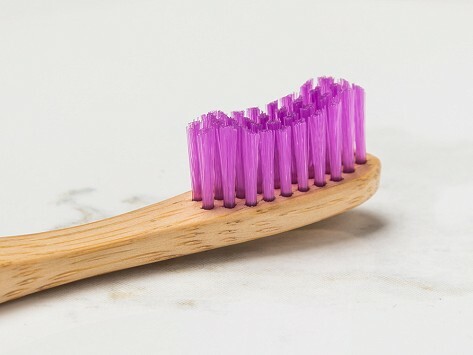 The soft bristles are perfect for my sensitive gums and I love that they are environmentally friendly so a win win!! Works well and the design is really cool! 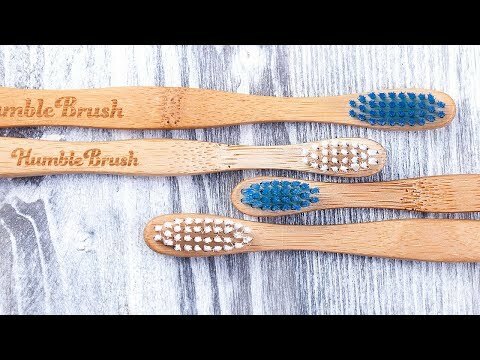 The Humble Brush is a totally different take on a toothbrush. It’s eco-friendly and has a mission to help improve oral health around the world. For each toothbrush sold, the Humble Smile Foundation funds oral care for those who typically go without. With ergonomic bamboo handles, these toothbrushes offer a smooth, pleasant grip. The soft, colorful nylon bristles are a fun design detail. The handle and interior packaging are biodegradable, too. Noel Abdayem, a dental surgeon, is familiar with how important it is to have healthy gums and teeth. Poor oral health can lead to high blood pressure, heart disease, and many other serious issues. But preventive dental care is often overlooked—especially in developing countries. He founded Humble Brush to help turn the tide, one mouth at a time. In the process, Noel created an earth-friendly toothbrush that is as good for the planet as it is for your smile.